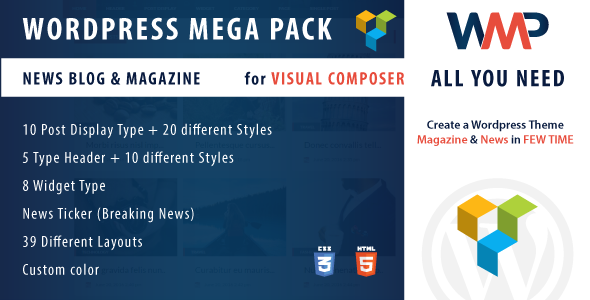 Welcome to Wordpress Mega Pack for Visual Composer – News, Blog and Magazine. With this awesome plugin you can build your for blog, news and magazine using our awesome addons for visual composer. You have available 39 different layouts. Addon for Visual Composer. You need to have installed Visual Composer for used this plugin.